We’re two backpackers who have travelled Peru and fallen in love with it. We offer clean, comfortable accommodation at affordable prices and expert advice on the area. 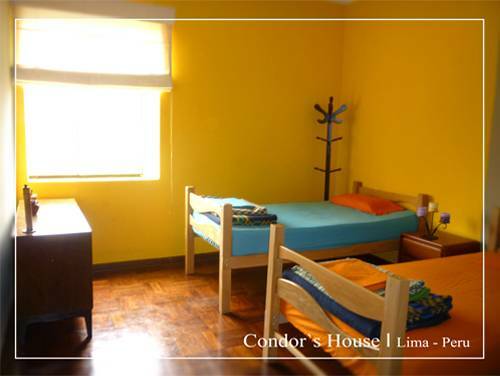 We have very nice rooms, either with private or shared bathrooms and also a dorm. But then there is the patio with the barbecue, the breakfast and TV-room where you can watch your DVD's (or borrow some of ours.) More important however, is the free travel information we provide our guests. but information that really matters and can save you a heap of trouble and discontent later on. 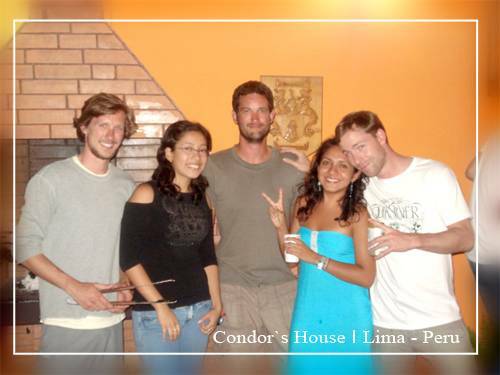 This is an unbelievable friendly hostel in Lima. * We can help you booking tickets if you wanna go to other places in peru or outside. *We offer pick up service for your security. *All rooms have breakfast included. *Price includes breakfast and the local info you wish. 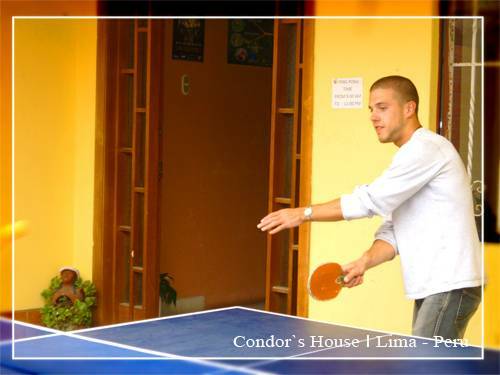 * Our hostel is located in a very safe and quiet neighborhood so you don't have the noise from the city center. We have confortable beds, clean sheets, dorms ensuite. The bathrooms are very big with really hot water in all the baths. Very safe neighborhood, very quite, close to everything: RESTAURANTS, CLUBS, MALLS, MARKETS, CINEMA, BARS, etc. 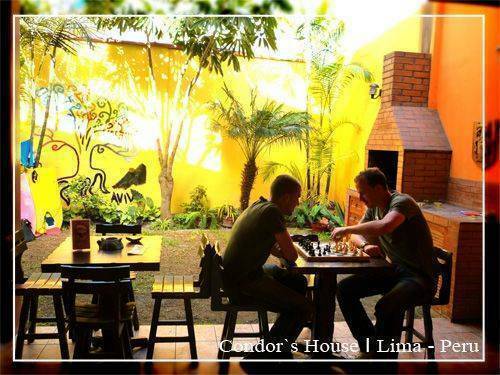 We are situated only 2 minutes walk from the beach and 5 minutes from the restaurants, nightclubs, pubs and markets of Miraflores – the tourist heart of Lima. Only S/7 to S/ 9 ($2. 50 to $3) in a taxi from most bus stations in Lima. Tell your driver to take you along Avenida Jose Pardo until Cuadra 10 de Avenida Pardo - Calle Martin Napanga 137 connects with the plaza. 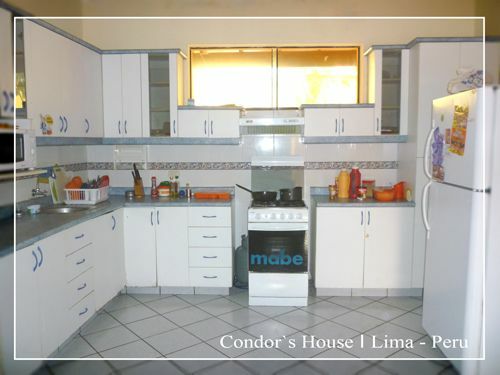 Condor's House is just a couple of doors down from the plaza on your right.